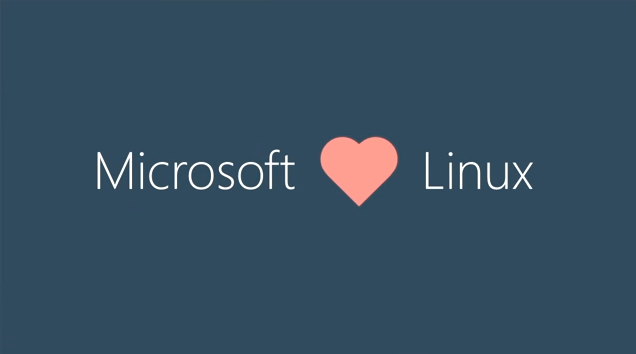 Why Does Microsoft Love Linux? The Answer May Shock You! For those of us who grew up in the ‘90s and the early 2000s, that statement is surreal and absurd. You see, it was expected of Microsoft to hate Linux. In fact, the company had been outright hostile to the open-source operating system. Steve Ballmer boldly proclaimed in 2001 that “Linux is a cancer.” The company has also claimed that Linux violated unnamed Microsoft patents; it also sponsored SCO’s copyright attack on Linux. So, how did Microsoft come to “love” the open source prodigy? Linux may not have won over the hearts of consumers, but it completely dominates the server space. That’s where Microsoft is trying to make moves with its cloud services. A significant portion of Microsoft’s fortunes now lies in Azure cloud services and cloud-based programs like Office 365. It’s simply a strategic move for Microsoft to profit from Linux. In fact, about 20 percent of the operating systems running on Azure are Linux. Microsoft now supports major Linux distributions like CoreOS, CentOS, SUSE, and Ubuntu—among many others—on Azure. Moreover, Linux is adding to the bottom line for the company. Azure is also the only proprietary cloud out there. Microsoft’s competitors like Amazon Web Services and Google Compute all use Linux, which means that Microsoft simply wouldn’t stand a chance if it insisted on Windows-only on Azure. That may be the reason why Microsoft has tried to get closer to Linux. The company no longer has the advantage—particularly in the cloud—it needs to survive with Windows only. It appears to be paying off for Microsoft. Azure now generates nearly $4.5 billion in annual revenue. That’s not it either: Microsoft also makes money from their questionable Android patents, too, which bring in about a billion dollars more in profits than Windows Phone. However, the company’s love for Linux isn’t exactly a recent phenomenon. The company had been changing its anti-Linux stance for a while. In fact, by 2011, it had become the fifth largest code contributor to the Linux kernel. Nonetheless, the computing world has shifted. The paradigm has shifted from desktop-applications to a completely new device-cloud approach. Maybe Microsoft is simply adapting to the change and becoming more open in the process. Whatever the case may be, it’s strange yet refreshing to see such “love” from old bitter enemies. On the other hand, maybe it’s a sign of the oncoming apocalypse. Phone Screens: Is bigger better?